These bad phat boys provide maximum flow and power with a distinctive turbo hush. 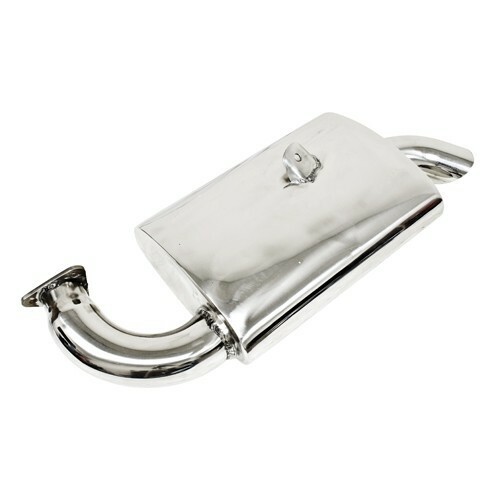 The EMPI Ceramic Coated PHAT Boy Muffler fits 1300cc to 1600cc based engines in Standard and Super Beetles, as well as Karmann Ghias. Kit includes gaskets, stainless steel bolts, and copper nuts. Compatible with exhaust headers part numbered 3100, 3102, and 3767.